Aspiring to make a mark in the world of style here is the attire to breath life into your aspirations. 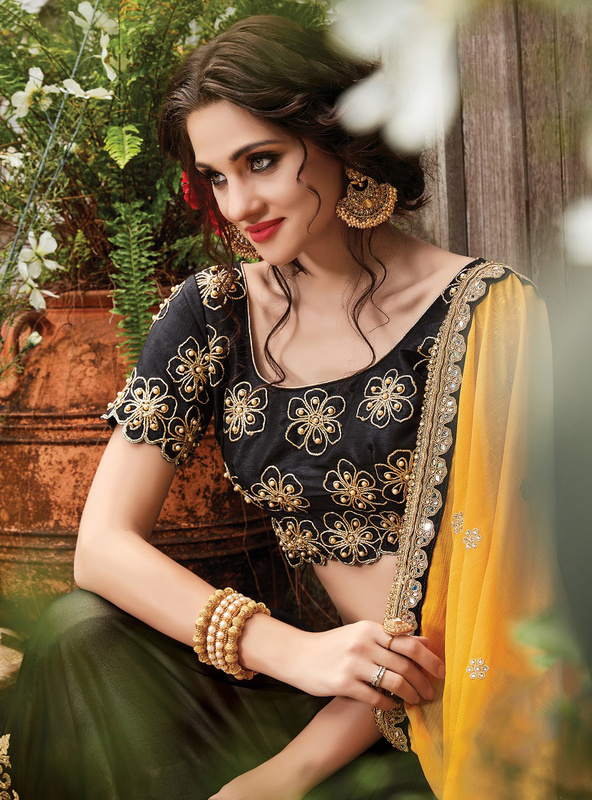 Add grace and charm for your appearance in this sizzling black-yellow georgette & chiffon saree. The half & hlaf saree attire is enhanced with jari therad embroidery work & stone work on skirt pallu & border. Paired with embroidered dupian unstitched blouse piece along with satin inner. It's a must have saree in your ethnic collection. This designer saree is perfect for your upcoming wedding functions parties events or occasions. Pair it with traditionally stylish accessories to complete the look.